Since the first printing in 1977, the Wisconsin Dells Travel & Attraction Guide has been an integral part of every successful marketing plan for our customers throughout Wisconsin and the Midwest. In 1988 we brought travel guides to Southwest Florida where today we publish the Southwest Florida Travel Guides (Summer/Fall & Winter/Spring), and other books for our friends at the Cape Coral, Sanibel, Fort Myers and Fort Myers Beach Chamber of Commerce. And if that isn’t enough, we create and publish other hyper-focused publications including dining guides, antique guides, wine and cheese, breweries, and distilleries guides, price lists, maps and discount books. Formerly known as the Wisconsin Dells Travel & Attraction Guide, Dells Travel is a fresh, exciting read dedicated exclusively to all the amazing things to do in and around the Dells that are sure to inspire the adventurer in you. New to the guide this year are free Grab-and-Go Coupons! No other publication highlights Wisconsin Dells/Lake Delton businesses like the Dells Travel guide. 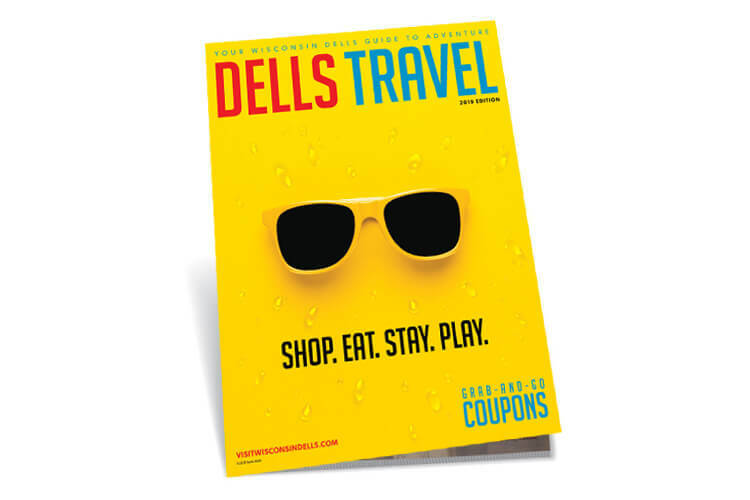 Place your ad in the Dells Travel guide and your business will receive maximum exposure. The guide is available in area motels, restaurants, ticket booths, information centers and attractions. Guides are also distributed extensively throughout the Midwest at our high-traffic literature distribution locations. 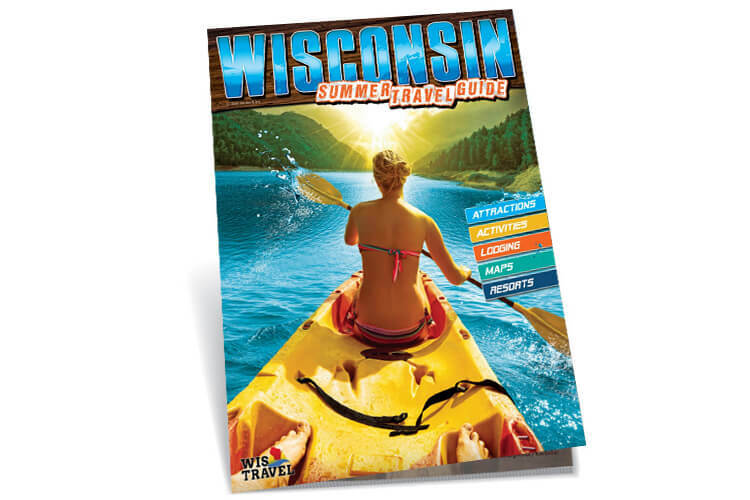 The Summer Wisconsin Travel Guide is distributed to over 700 prime locations on all of our highway routes. Like our other guides, this guide includes individual display ads and co-op advertising opportunities for smaller businesses as well as Chambers of Commerce and Visitor and Convention Bureaus. A complimentary, color-coded highway map indicates the city of each display ad advertiser. 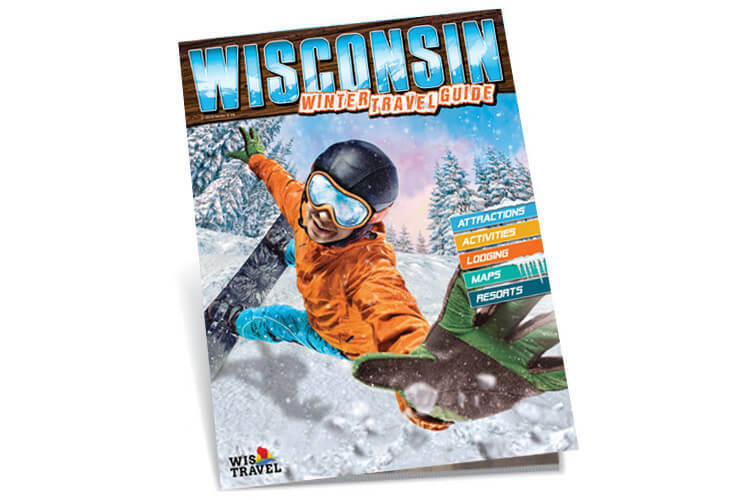 The Winter Wisconsin Travel Guide is distributed to over 700 prime locations on all of our highway routes. This publication includes individual display ads and co-op advertising opportunities for smaller businesses as well as Chambers of Commerce and Visitor and Convention Bureaus. A complimentary, color-coded highway map indicates the city of each display ad advertiser. Place your ad in the Wisconsin Dells Travel and Attraction Guide and your business will receive maximum exposure. The guide is available in area motels, restaurants, ticket booths, information centers and attractions. 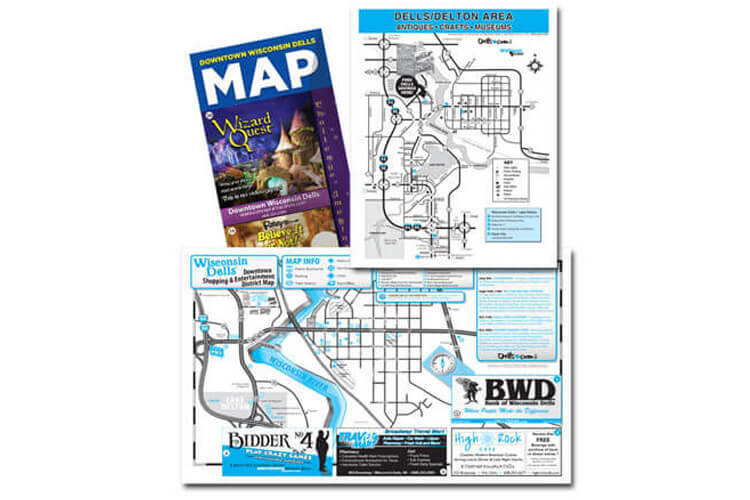 Guides are also distributed extensively throughout the Midwest at our high-traffic literature distribution locations. No other publication highlights Wisconsin Dells/Lake Delton businesses like the Wisconsin Dells Travel & Attraction Guide. The Southwest Florida Travel Guide is the best publication to target the tourist and seasonal market in Southwest Florida. The Travel Guide was first published 31 years ago. We have grown significantly over the years and print 250,000 Travel Guides twice a year; a Summer/Fall and a Winter/Spring issue. This makes our yearly distribution 500,000. The Southwest Florida Travel Guide is distributed in Lee, Collier, and Charlotte counties and is available in most area hotels, Chambers of Commerce, car rental companies, real estate offices, tourist attractions and restaurants, numbering about 600 locations. It is also mailed out daily to the many inquiries that we receive thru our website www.swflorida.travel and by phone. Our advertisers say they get more response from our publication than any other. We are proud to work with the Greater Fort Myers Chamber of Commerce to produce this yearly publication. 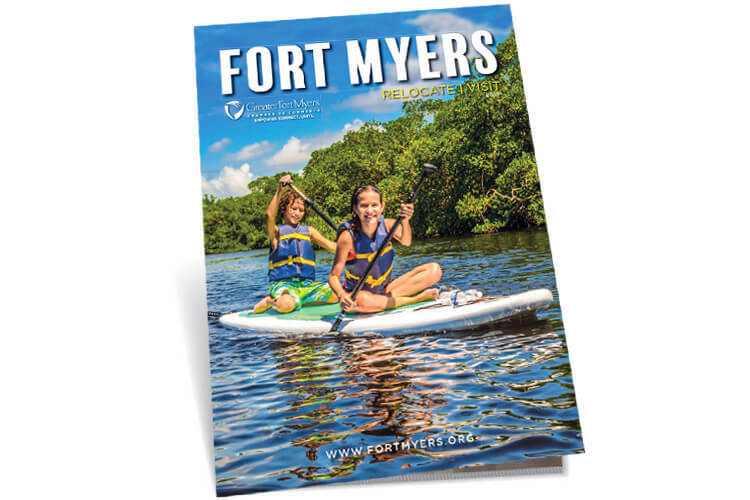 The Greater Fort Myers Chamber of Commerce Guide is a beautiful and informative publication that represents the community and the Chamber of Commerce. It is full of informative articles about Fort Myers and everything you need to know if you are relocating to the area. This magazine is printed annually and sent to every member as well as mailed out in relocation and visitors packages to out of state visitors. This publication is also handed out at the Greater Fort Myers Chamber of Commerce and used at tradeshows promoting Real Estate in the SWFL area. Get the name of your business out there and start advertising with us today! 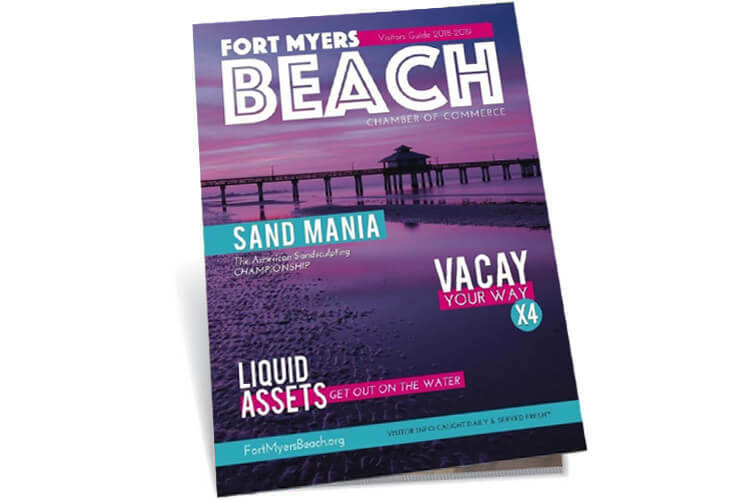 A fun, colorful publication packed with important tips and information about the town of Fort Myers Beach. This annual magazine features a variety of accommodations, places to dine, and upcoming events unique to the area. The book also helps promote the area as far as tourism and real estate, displaying the local community businesses and natural beauty of the beaches. Distributed at the Fort Myers Beach Chamber of Commerce, as well as up and down the island at chamber members’ businesses. The Cape Coral Relocation Guide is a beautiful and informative publication that represents the community and the Chamber of Commerce. 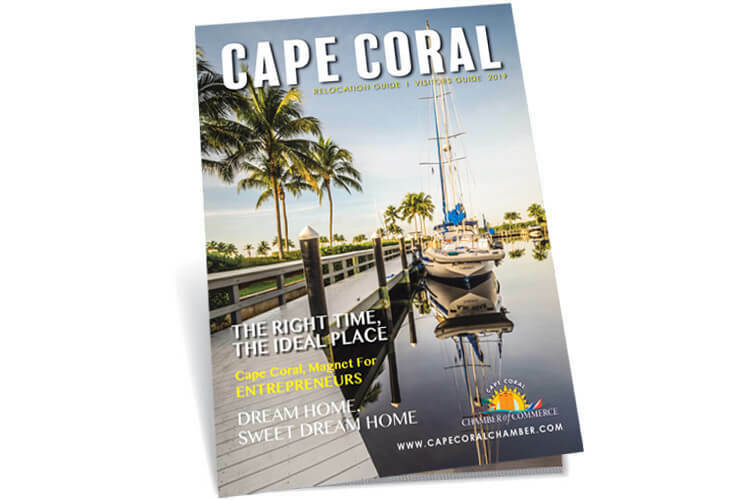 It is full of informative articles about Cape Coral and its businesses. This magazine is printed annually and sent to every member as well as in relocation packages mailed from the Chamber of Commerce to out of state visitors. This publication is also given out at trade shows promoting Real Estate in the SWFL area. Each member receives a complimentary listing as part of their membership investment, to enhance their business presence they may purchase ad space. The Sanibel & Captiva annual Visitor’s Magazine features a collection of beautiful images and informative articles about the islands. This publication includes a variety of individual display ads for businesses that are members of the Sanibel & Captiva Chamber of Commerce. Distributed at the Sanibel & Captiva Welcome Center located at the island’s one and only entrance. The Sanibel & Captiva Visitors Guide is the most effective way of advertising to island visitors. The Sanibel & Captiva Visitors Guide it’s also used as a relocation guide and is handed out at trade shows, as well as used by island realtors to promote the area. 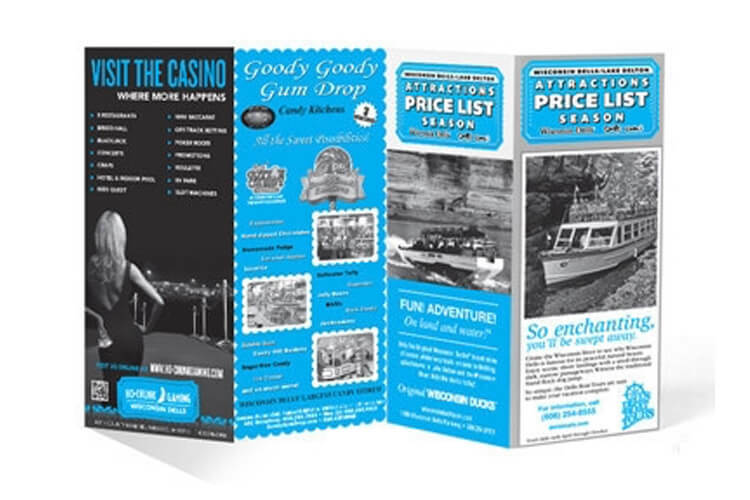 Vector & Ink publishes a listing of prices for Wisconsin Dells area attractions along with select display advertising on the reverse side. 150,000 are printed and distributed throughout the area. This list provides valuable information that many tourists are looking for and it is a great opportunity for your business to get noticed. 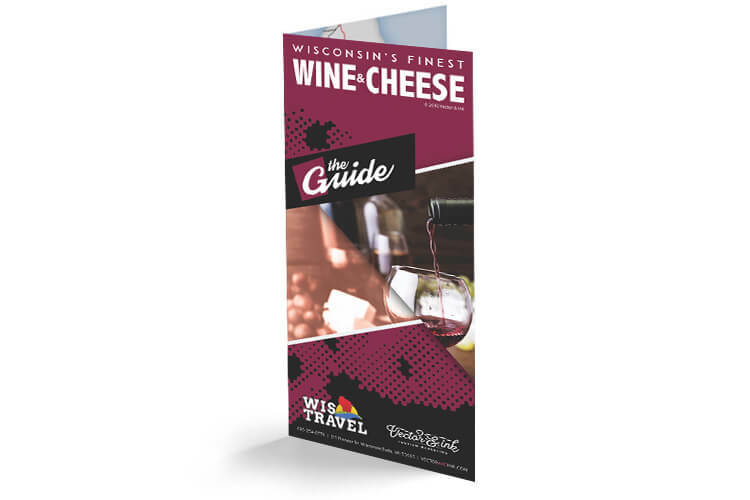 The Guide – Wine & Cheese This guide is the newest market-specific resource highlighting the best wineries and cheese factories/stores Wisconsin has to offer. The guide is distributed statewide allowing you to cater to your specified target market at an affordable rate. 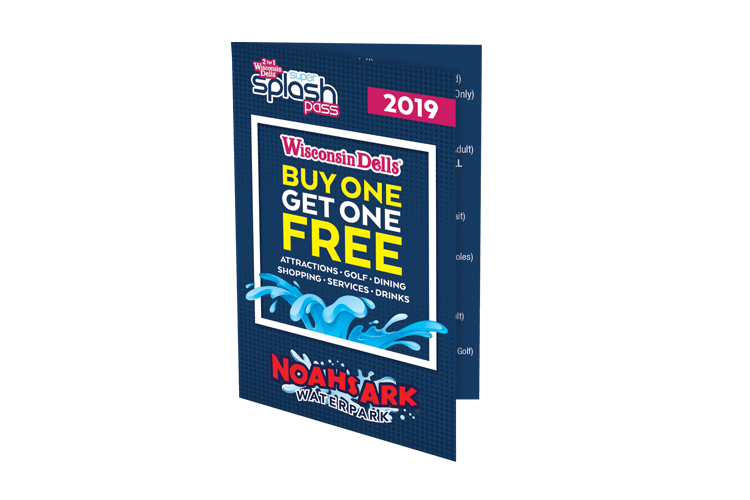 The Super Splash Pass has many Buy One Get One FREE offers for attractions, restaurants, bars, golf courses, restaurants, local shops and services. Participation is FREE. Contact us today to get your business featured in next year’s Super Splash Pass! Share your restaurant menu with prospective customers in Vector & Ink’s Wisconsin Dells Area Restaurant Guide. We currently publish this comprehensive dining book for the Wisconsin Dells/Lake Delton area in a quantity of 60,000. The Restaurant Guide is displayed as a complimentary service at area accommodations and businesses. Each book contains 4-color restaurant menus as well as an area map to indicate each business location. Reach new customers who are just waiting to discover your restaurant in the Wisconsin Dells Area Restaurant Guide. 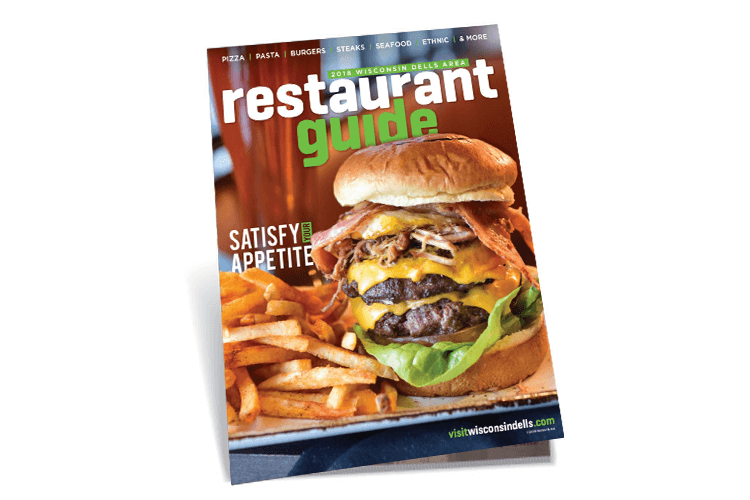 The Dining Guide is a magazine quality guide that serves as a directory for restaurants and entertainment in the Wisconsin Dells/Lake Delton area. 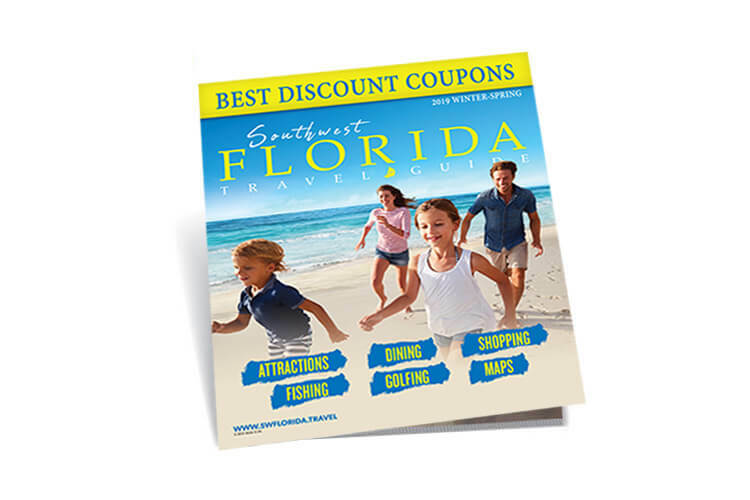 Included in the guide are coupons for great savings and an area map to help customers find each restaurant and business. 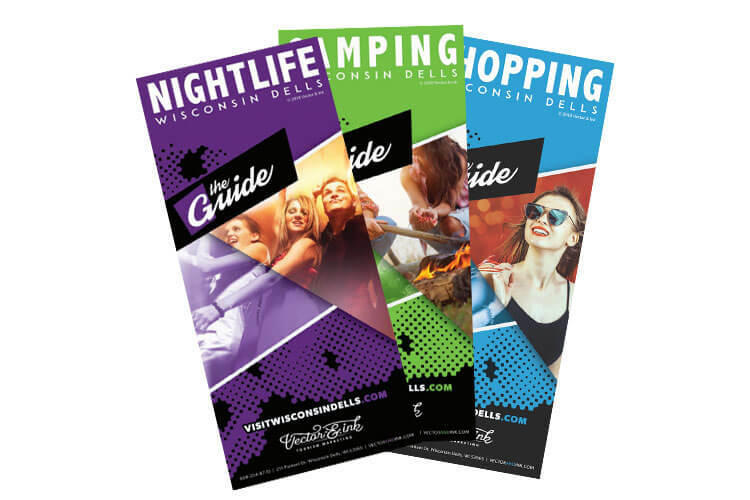 Dells/Delton Dining Guides are printed and distributed on Vector & Ink’s Wisconsin Dells/Lake Delton distribution routes. 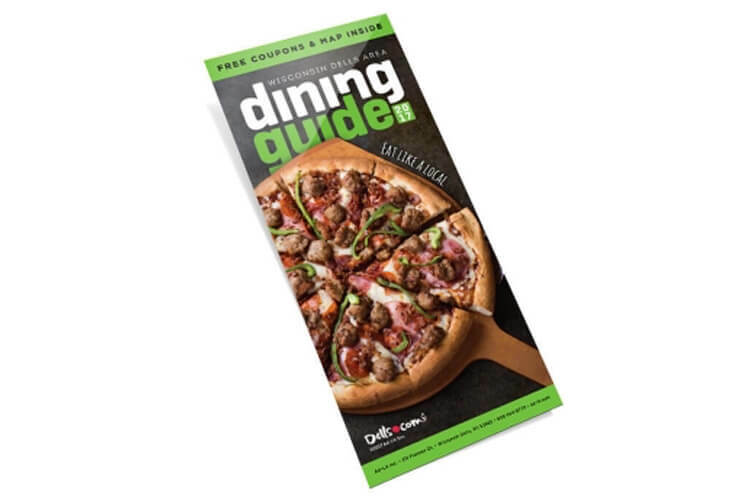 If you purchase a full page ad in the Dells/Delton Menu Book you will receive, free of charge, a name, address and phone number listing in the Dells/Delton Dining Guide. Larger ad space is also available. 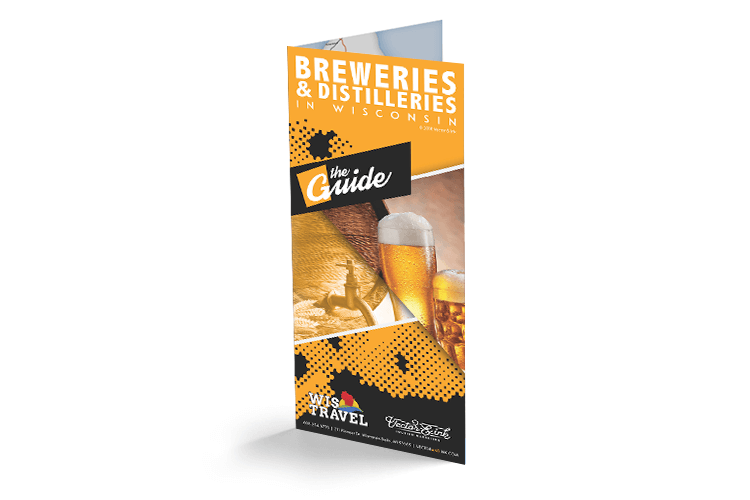 The Guide – Breweries & Distilleries This guide is a market-specific information resource highlighting the best breweries and distilleries Wisconsin has to offer. These Guides is distributed statewide allowing you to cater to your specified target market at an affordable rate. 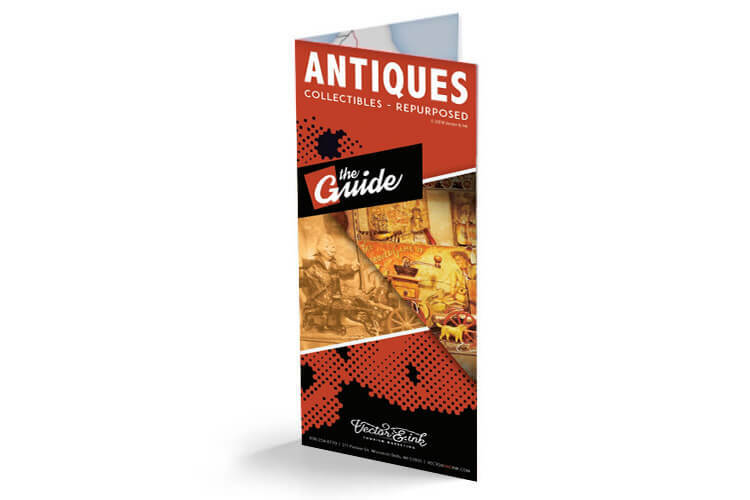 The Guide – Antiques – Collectibles – Repurposed is a great addition to our popular series of Guides. It is a market-specific information resource highlighting the best Antiques, Collectibles, Repurposed Shops, Crafts, Malls, Flea Markets and distributed statewide allowing you to cater to your specified target market at an affordable rate. Each guide is a market-specific information resource highlighting the best of what the area has to offer. They cover antiques, camping, nightlife, shopping, breweries & distilleries, and wine & cheese. If you are visiting our area, The Guide will do exactly what the name says – help guide you on your vacation to Wisconsin Dells.